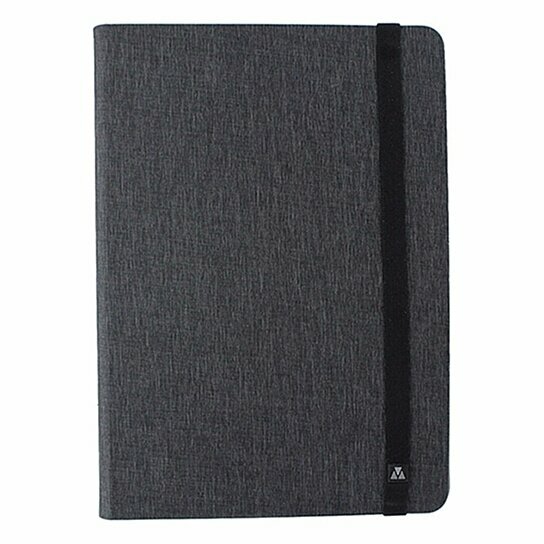 M-Edge products the Folio Plus Series, Universal Folio Case for 9 to 10-inch Tablets. Gray rugged proprietary PC/ABS shell. IPX4 Water resistance rating. MultiFit mounting system stretches to fit a wide range of tablets. Impact truss structure. Secure closing strap.